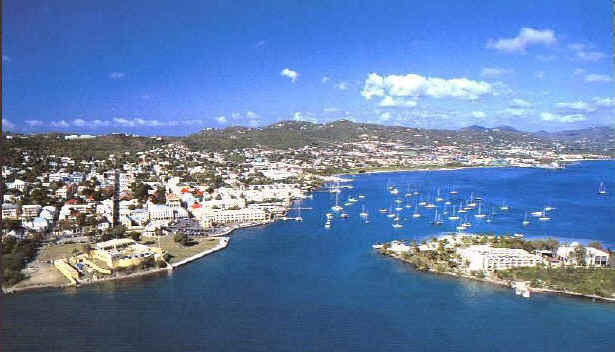 A aerial view of Christiansted and it's scenic harbor. 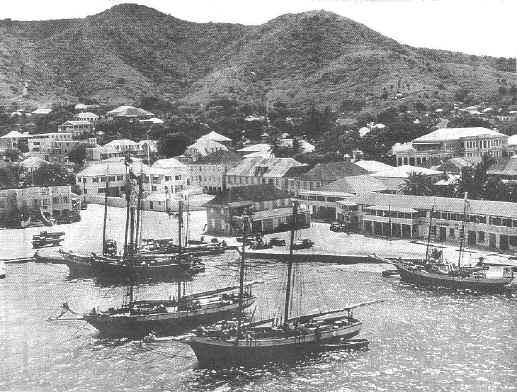 Christiansted Harbor circa 1959. Photographed by the late Fritz Henle.